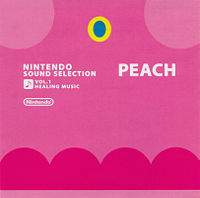 Nintendo Sound Selection Vol.1: Healing Music is a compilation album exclusive to Club Nintendo members in Japan. It can only be obtained by redeeming 400 points in Club Nintendo's program. 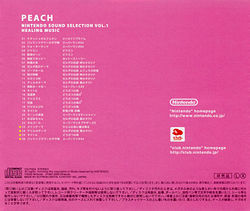 As the album title suggests, it is a collection of calming music from a variety of Nintendo games. There are three tracks from Super Mario 64, and one each from Yoshi's Story, Super Mario Sunshine, and Super Mario Bros. 3. OBS. : Tracks 23-26 are performances by Nintendo music staff. This page was last edited on May 20, 2017, at 22:05.